One of our industry legends, Nick DeWolf, has passed on. DeWolf co-founded Teradyne with Alex d�Arbeloff, who together built our industry�s ATE business. 1) It must be reliable. 2) It must be safe to use, and almost impossible of causing injury. 3) It must be reliable and use good components and circuits. 4) It should be simple, to ease maintenance. 5) It must be easily calibrated with simple gear. 6) It must operate in a wide range of supply voltages. 7) It must operate in a wide range of temperatures. 9) It must be simple to maintain and accessible. 10) The operating portion of the gear at the operator�s station must be small to prevent overcrowding. 12) It must be accurate. 13) It must be stable. 14) It must be capable of a complete test in a short period of time, or testing expense will increase. 15) It must require a minimum of thought on the part of the operator. 16) It must not fatigue the operator, or mistakes will occur. 17) It should be reasonably neat in appearance. This instills confidence in the equipment. 18) It should be flexible enough to allow for specification changes that inevitably occur. particularly to automatic test equipment � fail safe! 20) It should be reasonable quiet and cool and not damage tested units. 21) Remember the operator, who is 2/3 of the equipment. There is much to learn from these, as most still apply more than a century later. Amazingly, he was only 24 when he wrote them and it was at a time when solid state electronics were in their infancy. Most people live a lifetime without such brilliance and clarity of thought. Another gem of DeWolf�s was his belief that what customers want is seldom what they need and you should design to the latter. In those days, few knew this basic principle of product marketing (I learned it from Bob Graham much later and did not see it pop up in business treatises until half a century after our industry�s marketing greats had fully mined it out). Nick DeWolf was tall and reed thin. The sparkle in his eyes, gives away a hint of uncommon intelligence. 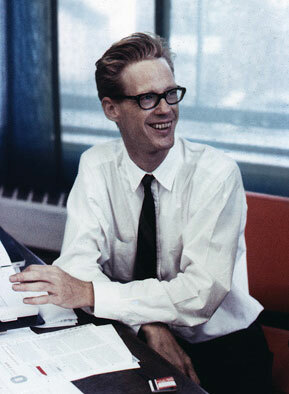 Soon after he wrote the canons of design, he resigned to become chief engineer at Transitron in the same year. 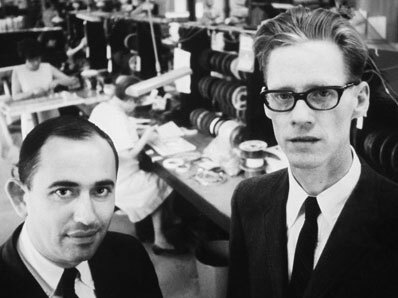 The company was a darling of the mid-1950s, with its gold-bonded diodes and later transistors. It quickly rose to number two, just behind Texas Instruments, with DeWolf�s genius being hailed outside the technical world. In the August 1959 Fortune article, The Company That Started With a Gold Whisker, he was noted as �Transitron�s best salesman.� He and others would soon leave and Transitron would disappear for a simple reason: its founders failed to share in the wealth. Nick would not make that mistake when he started his own company, which he would soon do. In 1960, he got together with former MIT classmate Alex d'Arbeloff, to start-up Teradyne above Joe and Nemo�s hot dog stand in downtown Boston. Nick � the technical genius � was perfectly complemented by Alex, who had an untapped genius for business. Together, they would become the Hewlett-Packard�s of Boston. They were only 32 and each, using $25K of their own money, were able to attract an additional $175K from friends and family. They picked the name because it sounded high tech � with tera standing for 10 to the twelfth power and dyne standing for force, when taken together signify about a thousand tons of force. The business plan was a short four pages. What was unique was its comprehension of the need to meld technology with productivity and economics. Here is a key insight in their thinking that would build such a success story: �The penalties to the user of undetected improperly functioning equipment may be many times the original cost of the equipment.� With this too-simple statement, they encompassed what would be the entire business model for all ATE. Teradyne went into the black in 4Q1962, exactly two years after their founding. In 1963, revenues had grown to $431K with profits of $46K � the latter almost matching revenues from 1961. It was a time when men were dreaming of going to the moon, and Teradyne was already there. That year, they offered quotes on 57 different testers because of the scalable architecture DeWolf had put in the first tester. It shows how far he was ahead of his time. In that same year, they were visited by Ikuo Takeda, the founder of Advantest, showing what a small world hi-tech was even then. Hearing of Teradyne�s new approach to testing, he was drawn across the world. He got the cook�s tour, and as was customary in those days, was allowed to photograph what he saw. But in those days the real competition was on the other coast � Fairchild Test Systems Group. By 1964, testing was becoming too complex for simple relay testers. The IC had been in production for over a year. DeWolf and d�Arbeloff had been introduced to DEC�s Ken Olson by a mutual investor. They would soon quote the T231 Transistor Tester with an electrical connection to DEC�s PDP 8. Sales hit $1.9M that year and profits $236K. Teradyne bought two PDP 8�s for $18K each. Introduced in 1966, the J259 came with a DEC PDP-8 miniature computer, paper-tape reader, and teletype as I/O. It went for the astounding price of $58,500 (a new Volkswagen Beetle cost $2K and very hi-end luxury cars were $6K. It was also a completely new platform and one of the first designed around ICs. This was at a time when few mainframes used ICs. Super successful, it drove Teradyne�s sales to $3.8M in 1966, then $5.7M in 1967, and $9.1M in 1968. But the PDP-8�s short 12-bit world length was already constraining their systems. That led to the development of the M365, which Nick argued was one of the world�s first RISC computers. It became the engine of Teradyne�s early IC testers. After this came the J283 SLOT machine (standing for Seqential Logic Test) targeted at the emerging linear market. There were many others who made significant contributions to the development of these systems. But Nick was still heavily involved even though he still held the title of CEO. In 1969 sales hit $15.4M and profits $1.2M and the company went public. But the pressures of a public company were too much for DeWolf, who would step down in 1971. He went on to travel the world and express his creativity with photography. Some of his excellent photos from these travels still adorn Teradyne�s campuses. DeWolf eventually settled with his family in Aspen, where he would die in April 2006 at the age of 77. There, he was involved in many civic, charitable, and educational programs. 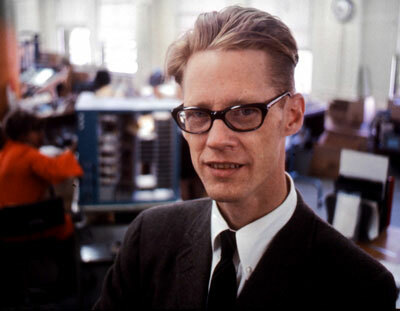 DeWolf had paved the way for today's electronics industry with his pioneering development of test technology for semiconductors. He was a giant of an engineer and he had a passion for America�s leadership in technology. In a recent interview he said, "I wish more Americans would become engineers; fewer lawyers and doctors, and I really wish for one thing with great passion and that is that physics should be taught before biology and chemistry...So if I had any one thing I�d love to see happen, it is that America would get more technical again." DeWolf and his accomplishments should serve as a lighthouse for all of those who wish to sail the dark waters of the future.